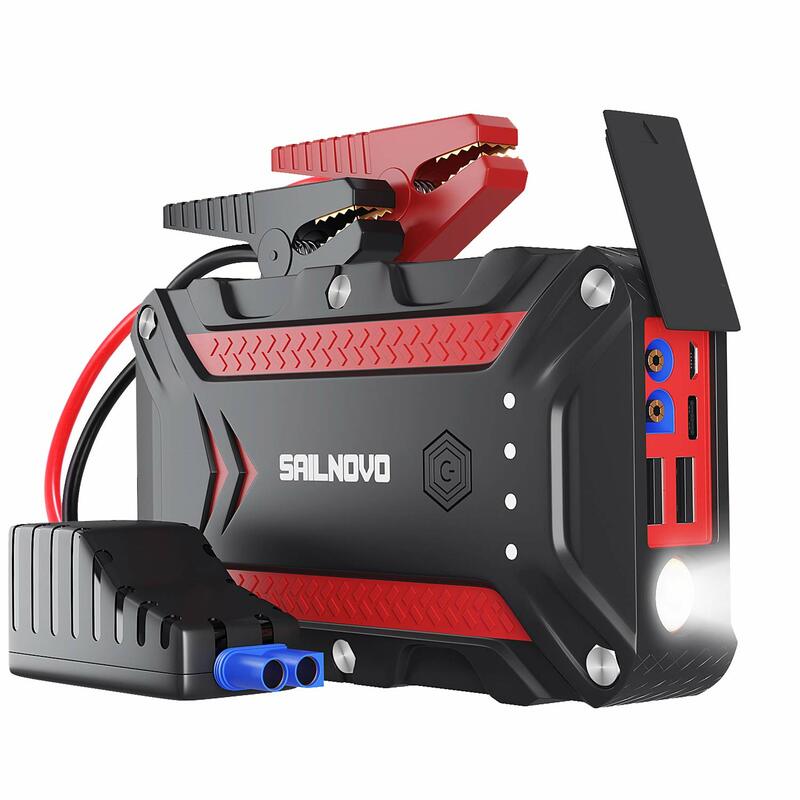 ❥1200A Peak Powerful Car Battery Booster❥: Sailnovo portable yet powerful lithium-ion battery jump starter can start 12V vehicles (up to 7.5L petrol or 6.0L diesel engine) in seconds with 1200A peak current. 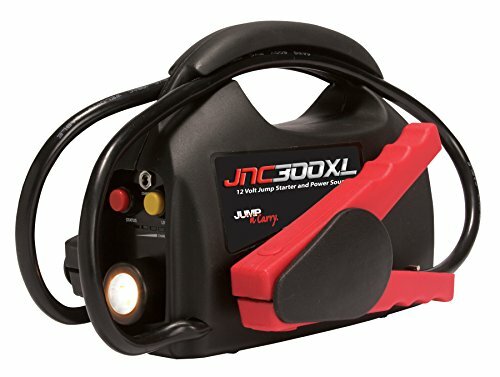 Suitable for cars, motorcycles, snowmobile, RV, tractor, light-duty trucks, lawnmower, ATV, UTV, cargo vans,oil boat,etc. It can be charged with the included Typ C and Micro USB Cable. 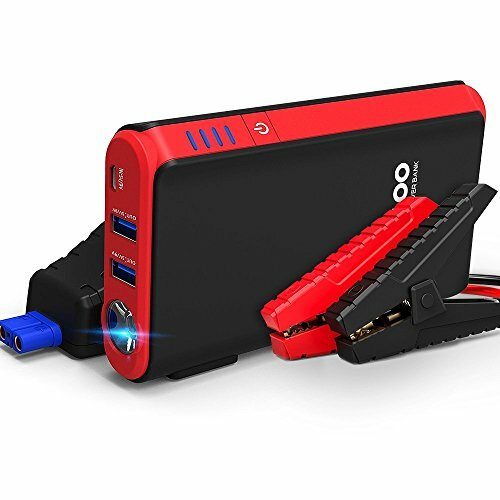 ❥Power Bank with Dual USB Quick Charge 3.0&PD Type-C❥: 12000mAh high capacity allows to jump start over 20 times per charge. 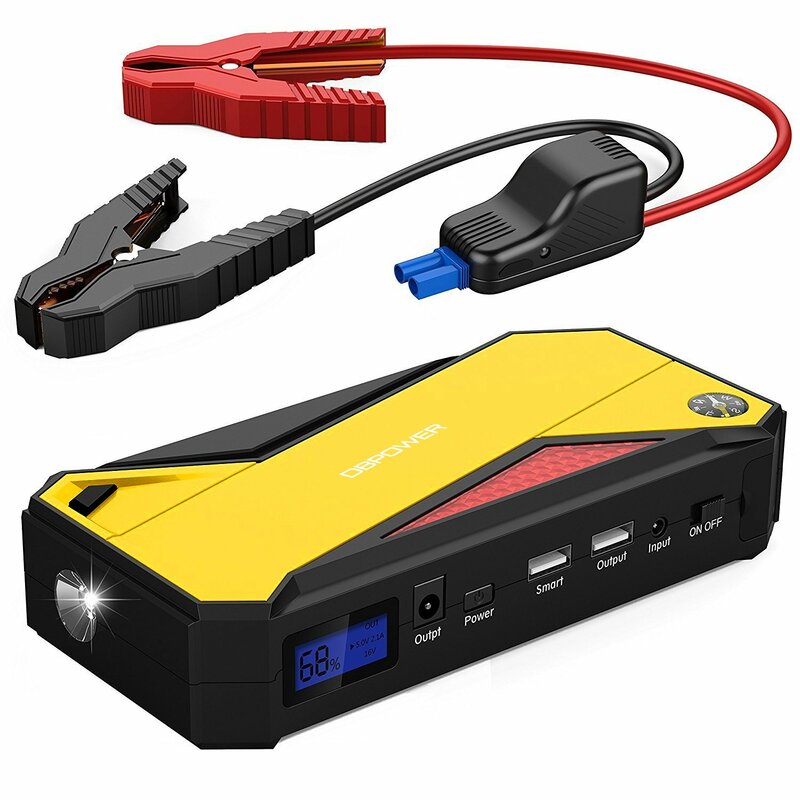 The Jump starter supports quick charge input and output.Dual USB output(5V/3A 9V/2A 12V/1.5A) and TypeC input/output(5V/3A 9V/2A 12V/1.5A), can charge your phone, camera, kindle and other devices with USB A and USB C 4 time faster than normal portable chargers. 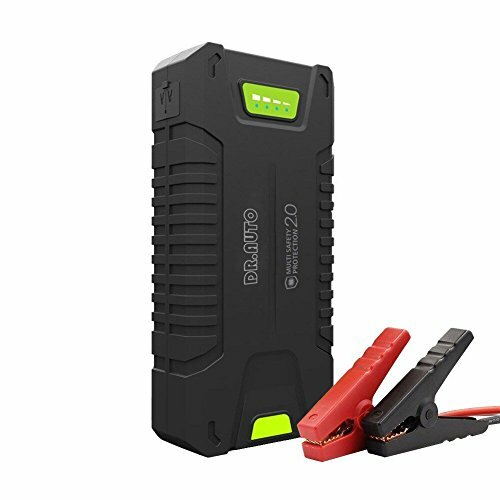 ❥IP-68 Certified Waterproof&Dropproof Jump Starter❥: Made from durable polycarbonate (PC) and ABS material, our Sailnovo jump starter is designed to be dustproof, dropproof and water proof.With all the ports tightly sealed, you don’t have to worry even if your jump starter drops into the water.It’s tough and sturdy enought to withstand extreme whether and conditions. ❥Upgraded Smart Clamps for Ultimate Safety❥: Heavy-duty pure-copper clamps, durable jump cables and housing made of V-0 (the highest fire proof grade) fire proof material make it super safe to use.The device offers you intelligent protection against short-circuit, high temperature, overvoltage, overcharge, over-discharge, over-current and polarity reverse, etc. ❥LED Flash Light for Outdoors/Emergency❥:The ultra-bright LED flash light has 3 illumination modes, a flash light when you’re in the dark, a strobe light to attract attention, and an SOS signal flash when you’re outdoors and in need of emergency help.What You Will Get:1 x Waterproof Jump Starter, 1 x Smart Clamps, 1 x USB Typ C Cable,1 x Micro USB Cable, 1 x User Manual, 1 x Carry Pouch, 1 x Small pin, 1 year warranty and 30 days Money Back Guarantee!